Delegates at our first Rebuilding the Belief conference. Looking back on 2018, there are many personal reasons for Teresa, our 16-year-old son Nicholas and I to be happy – and we’re proud of the work of our company CGM too. But one of the best things that has happened this year has been hosting our first Rebuilding the Belief conference in April at our Media Centre in Worcester. Rebuilding the Belief is the title of my sequel to Every Boy’s Dream – England’s Football Future on the Line – my award-nominated book which lifted the lid on some of the less wholesome activities going on within the UK football youth development system. While progress on the book has been snail-paced – but I’m getting there, honest! – there has been a community and meeting of minds built up around this topic. Subtitled (as the book will be) Putting the Voice of the Child First in Football – the conference sold out and was the most terrific event – fascinating speakers, great debate and wonderful networking among people who truly care about the beautiful game. That’s why we’re doing it again at the Media Centre on Friday, December 7 from 10am-4pm with Rebuilding the Belief 2. This time we’re focusing on the welfare of children and the predicaments facing parents. Mel Eves (former Wolves and Sheffield United star) who is launching the Sports Parents Association, an independent help and advice service for parents of children in sports academies and programmes. Pete Lowe, who was head of education at Manchester City for 13 years between 2000-2013, will talk about a similar venture he has co-founded called PlayersNet. We’ll also hear from the clubs themselves. Lee Hagger, like Lowe a former sports teacher, is academy operations manager at Fulham FC and will talk about the pioneering work the club is doing in both education and holistic player care development. When our final speaker Ernie Brennan started the National Children’s Football Alliance (NCFA) ten years ago, I was one of his first calls. At the time Ernie described himself as ‘a parent mug’, one of those hard-working and well-meaning parent-coaches who’d had a basinful of poor behaviour and negative attitudes from fellow coaches and parents in grassroots junior football. Unlike most, Ernie decided to do something about it. A decade on – and with the help of so many wonderful, skilled people – he has grown the NCFA into an organisation which truly shows how football can provide a much more meaningful and thoughtful role in children’s lives. 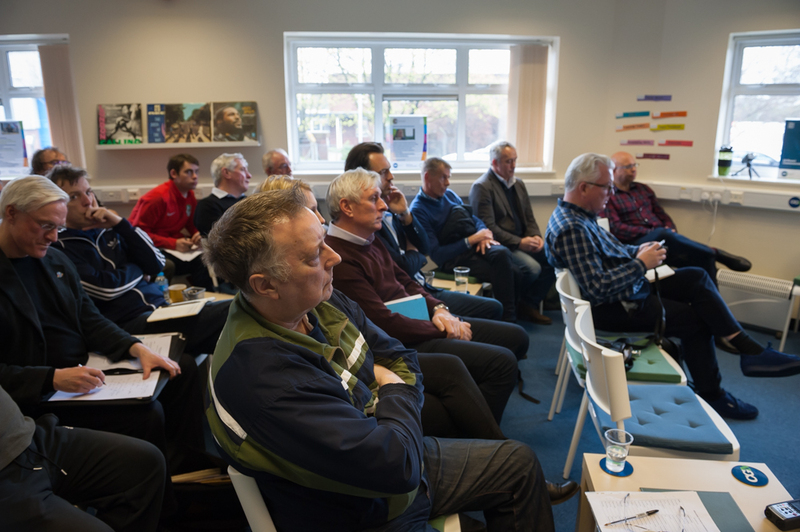 Oh, and we’ll have a couple of discussions which are bound to be as lively as ever among a passionate audience – and there will be some fantastic networking opportunities too. I can’t wait. Fancy joining us? If so, you can find out further details and how to book here. Chris Green is the author of Every Boy’s Dream – England’s Football Future on the Line (A&C Black 2009) which was nominated for 2010 British Sports Book of the Year, and the sequel Rebuilding the Belief – Putting the Voice of Children First in Football.